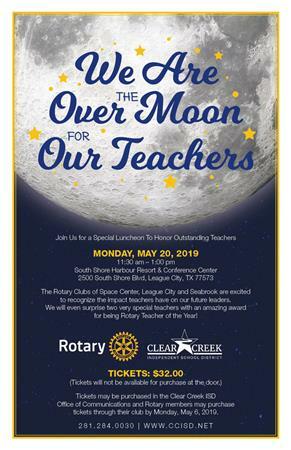 Join us for the 8th annual Rotary Teacher of the Year Luncheon. Tickets are $32 payable to the League City Rotary Club. We will invoice you for the ticket. All attendees my RSVP no later than Monday, May 6th.